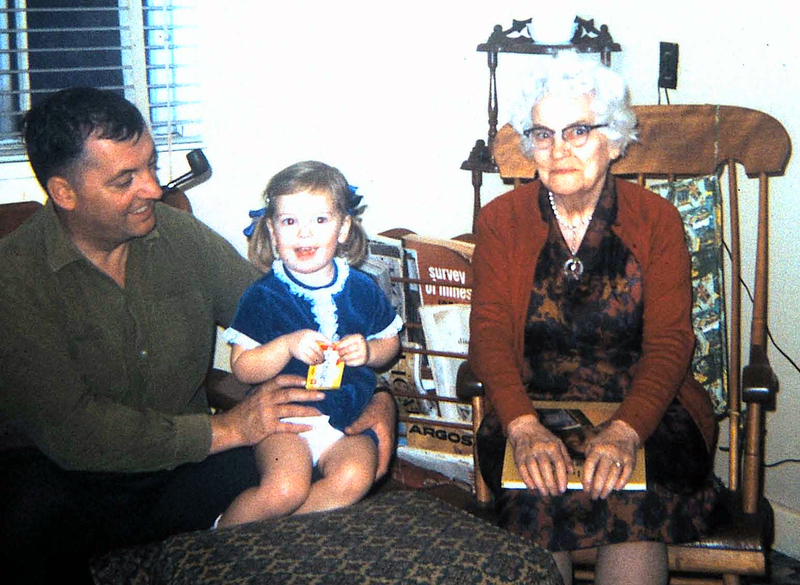 Archivist Ian Tait met my grandmother on a number of occasions but the recording given here was recorded Thursday, July 12, 1979 at the rural Townships home of Grammy’s daughter and son-in-law: my Aunt Eileen and Uncle John George. Their home was a stunning A-frame house that sat high atop a hill overlooking the rolling land of the area. On this recording the occasional truck or passing car can be heard; on this July day the screen door would’ve been open and the noise was the price paid for a summer breeze. For her whole life Grammy thought she was one year older than was true. She talks on this recording of being born 22 November, 1889. If only she knew she was a girl of the nineties. On this day she was well into her 89th year and, as the recording shows, clearly struggled with her hearing. 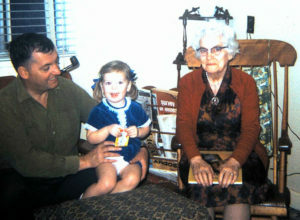 Maggie, or Grammy, as she was known in later years by her friends and family, led a good, long life. She died seven years after this recording was made, in her 97th year. The last time I saw her I remember her asking a melancholy, sort of rhetorical question, “why has God left me to live so long?”. With her life-long friends gone and faculties failing it’s really not a stretch of the imagination to have a little empathy. Still, the Grammy I knew was an intelligent, sharp-witted woman. She loved to laugh and, like my father, an unquenchable reader, though I don’t think my dad ever read a Harlequin Romance. Maggie was born in Finnieston, Glasgow. Her people were all of the Outer Hebrides: Torlum, Griminish and Balivanich, Benbecula and Baleshare, North Uist. At the time of her birth, Maggie’s mother, Flora MacMillan (Flora daughter of Donald son of Alexander son of Donald son of Donald son of Murdo), was unmarried. 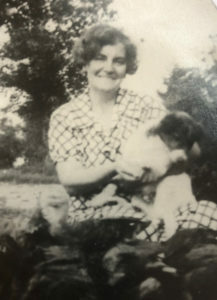 Flora briefly left Torlum, Benbecula to give birth with the help of her sister, Glasgow-resident, Margaret Beaton – to later return home to Torlum, with daughter, Maggie in tow. Grammy’s father, William MacBain, suffered the same fate as Flora MacMillan’s parents (at almost the same age): at 34 he died of tuberculosis. His people were all from the island to the north of Benbecula – North Uist to be clear and the place of Baleshare, to be precise. William MacBain’s people – including his 16 year-old father, John MacBain – were victims of the Clearances and left North Uist in the 1860s for Australia, leaving William MacBain with his mother. William was also born to an unwed mum, Mary MacRury of Torlum. For the crofter (subsistence farming) residents of the islands at this time, life was almost indescribably difficult. Grammy’s life was no different. Flora MacMillan and her two daughters (Maggie was younger sister to Flora’s first-born Kate Morrison) made their way back and forth from Glasgow and Benbecula, doing the best they could to scratch out a life. For a time Grammy made her way working as a “kitchen maid” at first the Lochmaddy Hotel in North Uist and then the Lochboisdale Hotel in South Uist. On this recording she talks of collecting plants. To be clear: this was to survive, to have something to eat. It wasn’t about the science of botany or pressing leaves in wax paper. I’d wager there weren’t many fat people in Uist at this time. 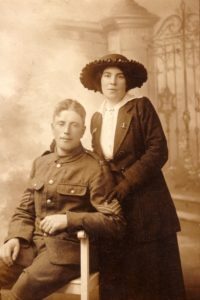 By the time WW1 broke out Maggie MacBain met and married an Irish Protestant, Robert Grey, born Strangford, County Down. He spent four years in France in the trenches while she cared for her first-born, Katherine. As the Depression hit Maggie and Robert Grey found themselves with six kids and not much in the way of a future. In 1929, they took advantage of a war veteran’s resettlement program and, with their young family, high-tailed it for the Eastern Townships of Quebec. And to be fair, it’s hard to think of an eight-day Atlantic crossing as “high-tailing”. In the first week of July 1929 they stood in front of their new home: a modest farm in Bulwer, Quebec. The land was not great and their knowledge of farming – and farming in Canada – was limited, if non-existent. That was the beginning of life in Canada for the Greys – and my grandmother, Maggie MacBain. Grammy would never again set foot on Scottish soil. My heart aches a little when I listen to her talk and valiantly try and recall songs and words of her Benbecula youth. Still, at 89, or for any age for that matter, she proves a trooper in many of her recollections. 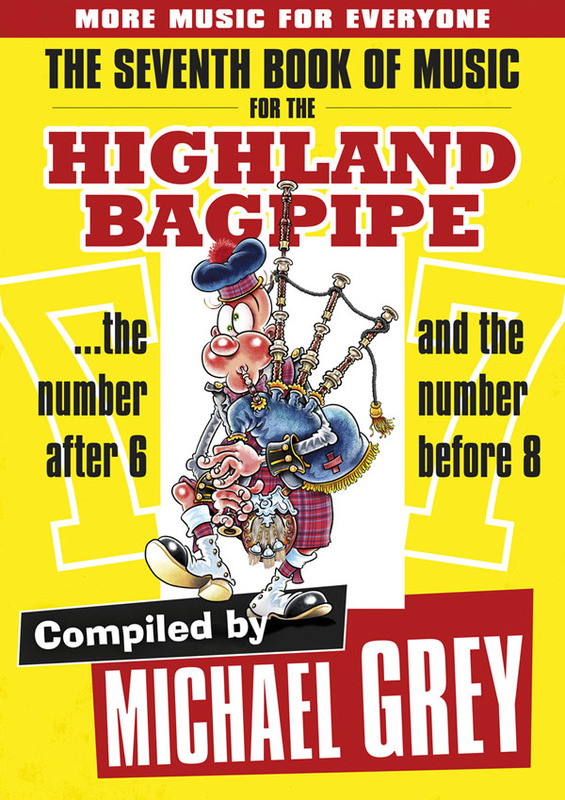 A half-century of time fails to stop the Gaelic – and “Bonnie Benbecula” (as she might’ve said) – from flowing on. Another thanks to Ian Tait, wherever he is, and, of course, Grammy. Difference: Glasgow-Eastern Townships life (3’55”); A day in the life on the farm in Bulwer, Quebec (6’54”); Waulking cloth (14’20”); “they had a tub … don’t know if I can mention that …” (15’04”); A waulking song (16’02”); After the waulking (17’29”); Song snippets (20’41”- 23’20″); Glasgow fish story (27’57”); Superstitions (32’50”); Difference between Highland and Eastern Township people (39’12”); First car (40’49”); Gypsies (41’37”); Torlum, Benbecula school (42’44”). Religion (start); “Are you Catholic?” (1’20”); Hymns (3’30”); Songs (5”10”- 7’26”); Homesick (8’16”); Making whitewash in Benbecula (11’10”); quilt-making (13’48”); Collecting wild plants in Benbecula (16’30”); Maple syrup-making in Bulwer (19’46”).